OnPoint Digital was founded with a mission to design and develop flexible yet affordable online learning systems for enterprise and SMB customers. Seventeen years later, we continue to provide a capable yet cost-effective platform that enables T&D teams to define, create, package, deliver and track their digital training programs, instructor-led classes, informal and game-based learning initiatives for their extended learning ecosystems. OnPoint Digital, founded in 2001, is a global provider of technology-enabled learning solutions for many of the world’s leading organizations. By offering a superior collection of functionality, customization, extensibility, and security, OnPoint is able to provide its customers unique, user-optimized learning experiences for their internal and external audiences on their device or platform of choice. 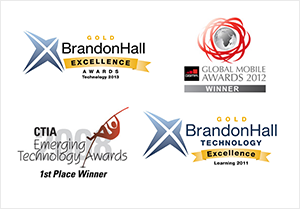 Headquartered in Savannah, Georgia, OnPoint has truly pioneered learning technology well beyond online courseware delivery platforms into the realm of enterprise mobile, social and game-enabled learning solutions. OnPoint is pleased to have earned the recognition of our peers and industry as reflected in the many awards our technologies and teams have received since our inception. These awards have come directly from the T&D industry as well as wireless and telecom sectors where many of our customers and partners operate. OnPoint leverages strategic partnerships with a number ofindustry-recognized technology providers who design, develop, and market complimentary tools that help augment and extend our own solutions.